3. Display - 5.5" IPS display, HD+ resolution, brightness, contrast, color temperature, sRGB coverage, etc. We rarely make reviews of lower-mid-range smartphones but whenever we discover a combination of a large battery and a Helio P23 chipset, we're always curious to check out battery life and performance. Hence, we decided to check out the Cubot King Kong 3. It packs a 6000 mAh battery and a Helio P23 chipset in addition to a small display with an HD resolution - all this means that it should show very good battery life. Moreover, the handset is IP68 rated for water and dust resistance. This review is for everyone who is looking for a smartphone that offers serious battery autonomy and reasonable performance, while won't breaking your wallet and surviving water and dust. Our review unit is courtesy of Cubot and you can buy it at a promotional price from Gearbest. 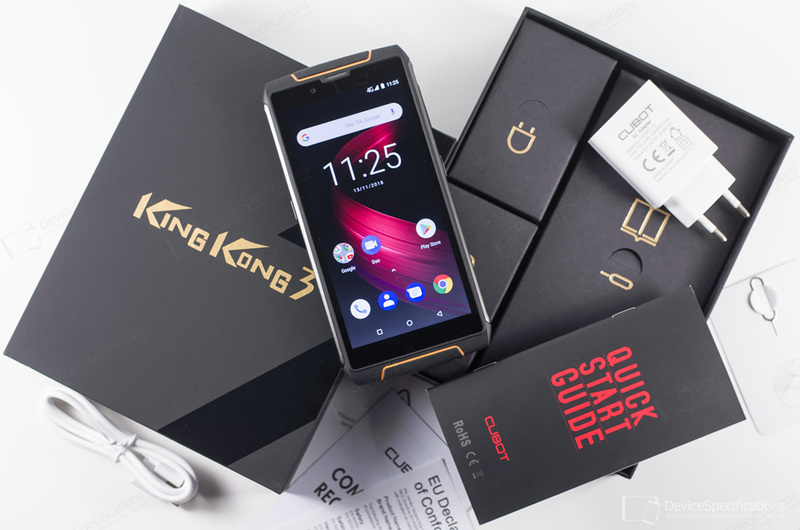 Cubot King Kong 3 has a 5.5-inch IPS display with GFF full lamination, an HD+ resolution (720 x 1440 pixels), 450 nits brightness, 1300:1 static contrast ratio and Corning Gorilla Glass for protection (unspecified generation). The handset has a ruggedized appearance combining metal and polycarbonate. It is also IP68 rated for water and dust resistance. The handset is powered by a 6000 mAh Li-Pol, unremovable battery coupled with a 5V/2A~7V/2A~9V/2A fast charger. A MediaTek Helio P23 (MT6763T) chipset ticks under the hood housing an octa-core Cortex-A53 CPU with four 2.3GHz cores and four 1.65GHz ones. The graphics department is managed by a dual-core 770MHz Mali-G71 MP2 GPU. There are 4GB of double-channel LPDDR4X RAM on board, clocked at 1600MHz and 64GB of internal memory, expandable with up to 128GB. The camera department features a 13MP Sony IMX135 primary shooter (interpolated to 16MP) with a 5-element lens, an f/2.8 aperture and 1A dual-LED flash. There's a VGA GalaxyCore GC0310 auxiliary rear snapper as well for shooting in Blur mode. The front-facing shooter packs an 8MP GalaxyCore GC8024 sensor (interpolated to 13MP) and a 4-element lens with an f/2.8 aperture. The device supports 2G GSM (850, 900, 1800, 1900 MHz), 3G W-CDMA (900 MHz, 2100 MHz), and 4G FDD-LTE (700 MHz Class 17, 800, 850, 900, 1700/2100, 1800, 1900, 2100, 2600, 700 MHz (B12)) networks. LTE speeds are Cat. 6 ones and simultaneous 4G on both SIM cards is supported. The wireless connectivity options of the Cubot King Kong 3 include Bluetooth 4.2, dual-band Wi-Fi 802.11 a/b/g/n, Wi-Fi Direct, Wi-Fi Hotspot. The smartphone works with GPS and GLONASS and is equipped with a USB Type-C 2.0 port and a rear-mounted fingerprint sensor with 0.1s unlock time, 360-degree recognition. The model runs on stock Android 8.1 Oreo out-of-the-box. 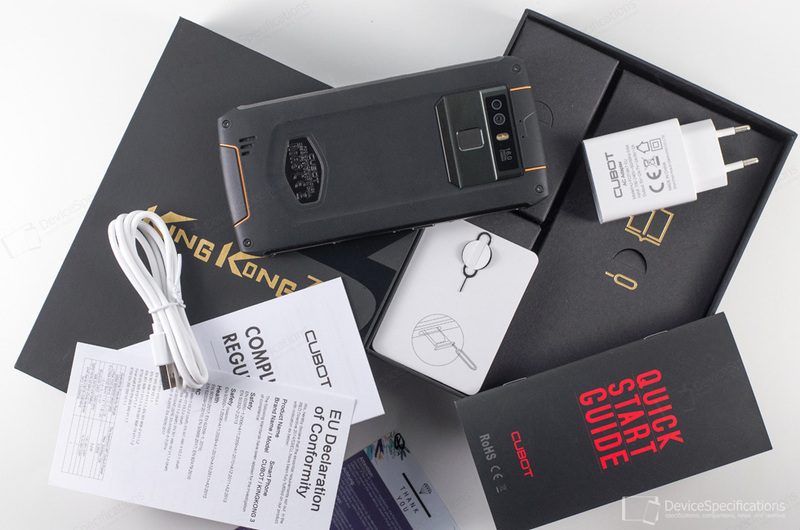 Complete Cubot King Kong 3 specifications.